A video captured the touching moment Mr Toler received a car from his co-workers. 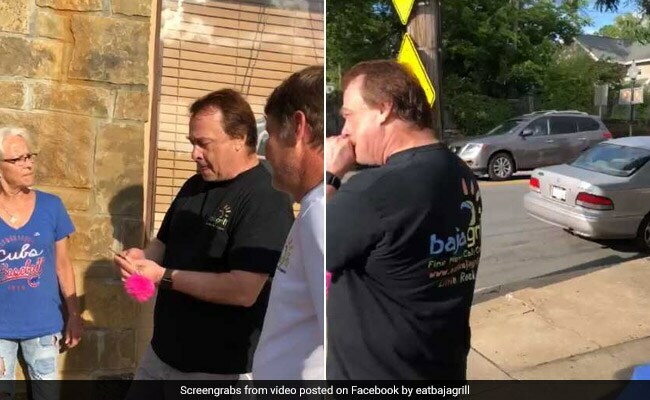 Employees at a restaurant in Little Rock, Arkansas, did something wonderful for a coworker's 57th birthday - they all came together and bought him a car. Kelly Toler has been working as a nighttime host for Baja Grill - a Mexican food restaurant - for almost two years. THV11 reports that Mr Toler had been commuting by bus or hitching rides with co-workers to get to work, since he did not own a car. So, his co-workers decided to surprise him on his birthday - by buying him a car. "It was everyone's idea. I was looking at cars on the marketplace, and then one of the servers came to me and she had the idea on her own. And then turns out simultaneously two other servers were thinking about the same thing... It was just a group effort," said Heather Baber, General Manager at Baja Grill to THV11. A video shared by Baja Grill on Facebook captures the exact moment Mr Toler's co-workers presented him with the car. It shows him tearing up, overwhelmed by the lovely gesture. Since being shared online on Monday, the video has collected over 25,000 views and hundreds of comments. "This is awesome!!!! I love the peeps at Baja!" writes one commenter. "That is so special. So proud of every human who was generous and did this from there heart," says another. "This is a great group of people here. You know they say friends are the family you'd had if you could pick your family. Well, I've been very fortunate here," says Mr Toler.